I was delighted to be invited to attend the launch of an exciting new family mediation research initiative in South County Dublin in May this year, alongside the Canadian Ambassador to Ireland, Kevin Vickers. The Family Mediation Project is offering means-tested family mediation to parents, grandparents and their children in their communities. The innovative process is based on a family mediation model developed by Dr Roisin O’ Shea, following her doctoral research at Waterford Institute of Technology (WIT) on the Family law courts. The team aim to provide an appointment within 10 days and the service is being offered in four Family Resource Centres. The issues that can be mediated are: guardianship, custody, access and maintenance. In Scotland the legal terms we use are ‘contact’ and ‘residence’ rather than ‘access’ and ‘custody’. 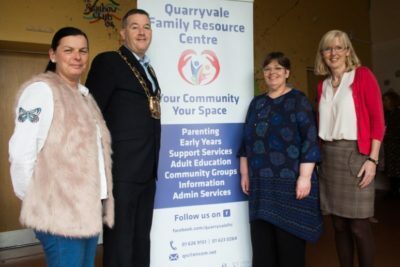 Mediators from Dublin Community Mediation will provide the service at each of the Family Resource Centres. To be eligible the participants must each have a gross income of less than € 22,000, and have less than € 5,000 in savings. Fees are charged at € 25 per hour. The project offers bi-gender co-mediation, and skype sessions where one participant is geographically distant in Ireland, or residing in another country. The research project is not-for-profit and is being led by W.I.T.’s Dr Sinead Conneely (coordinator) and Dr Roisin O’ Shea (principal investigator), Partner in Arc Mediation. They are test-running a new family mediation process, based on developments in family mediation internationally, and particularly learning from Canada. They are gathering anonymised data to evidence the effectiveness of the new process. We look forward to hearing more about the outcomes of this research in to a new model for community based family mediation. Supporting developments in Family Mediation - with our neighbours!